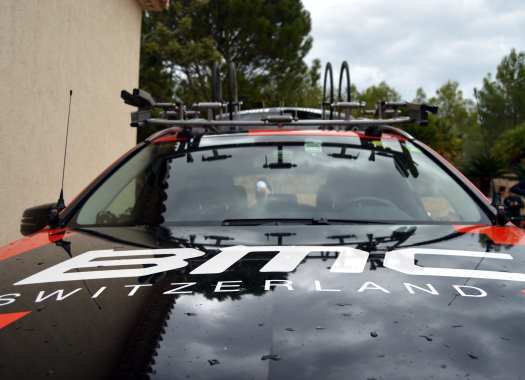 Continuum Sports, currently operating as BMC Racing Team, has confirmed its future at the rest day of the Tour de France. The project will continue with Polish company CCC as the main sponsor. The future of the project known as BMC was in doubt for a few months and it has been confirmed that the Polish will join as the main sponsor, securing its future. The team will have Olympic champion Greg van Avermaet as the main rider. CCC has been sponsoring a cycling team at the UCI Professional Continental level since 2006 and now the company takes a step to the WorldTour. "I am excited to see CCC partner with Continuum Sports and reach the highest level of cycling," said the company owner and president Dariusz Milek. "We have been looking for an opportunity to join the WorldTour and this was the perfect chance to partner with a well established and respected team, with Greg Van Avermaet as team leader." For Jim Ochowicz, BMC Racing Team General Manager, this is a chance to start a new chapter for the team. "It is no secret that we have been looking for a new title sponsor for 2019 and we are excited to be here today at the biggest cycling race in the World to announce CCC as the title sponsor of Continuum Sports from 2019 onwards," he explained. "CCC president Dariusz Milek shares the same passion for cycling as our organization and together we can continue to build on the team's existing success." "To also be able to announce that current Tour de France race leader Greg Van Avermaet has renewed his contract beyond the 2018 season in an exciting way to begin this relationship. We have seen Greg develop into one of the best riders in the World and we are delighted to retain him as the team's star rider in 2019. We have a busy few months ahead of us as we begin to plan for the next season so I am looking forward to welcoming CCC as title sponsor." Van Avermaet is also glad about the continuation of the project and the renewal of his contract. "I'm really happy to be able to announce my plans for the future, especially today when I can still say that I am the leader of the Tour de France," he commented. "I have spent eight years with the team and have had so many good moments over those years so it's exciting to know that we will continue together. "To have a team more or less focused on me and the Classics is a unique opportunity and I'm looking forward to next season with CCC as title sponsor. I think everyone will be happy to learn that the team is continuing, for the sake of the riders and staff but also for the sport of cycling."